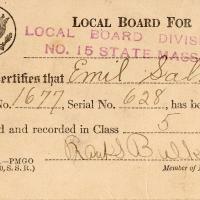 A Selective Service Classification Card for Emil Salmi, dated Feb. 2, 1918. 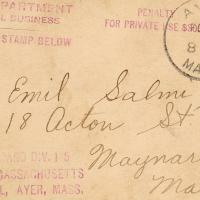 The Card is signed by Frank S. Bulkeley, Board Member. 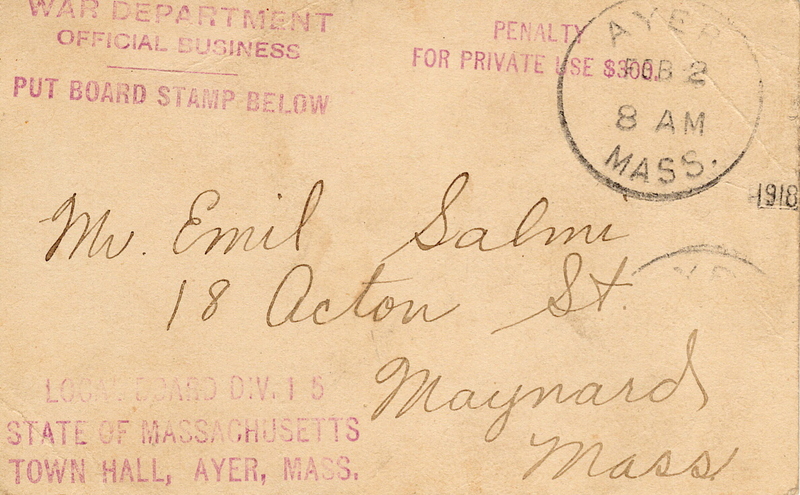 Paper, 2.5 x 4 in. 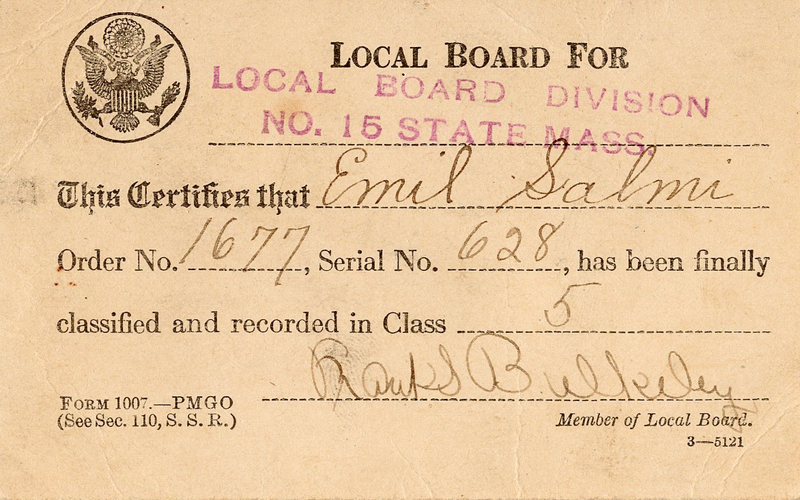 “Selective Service Classification Card for Emil Salmi - 1918,” Maynard Historical Society Archives, accessed April 24, 2019, http://collection.maynardhistory.org/items/show/6272.